Aug 25th 2017, college students antha mass bunk kotti theatres vaipu parugulu pedtunnaru. 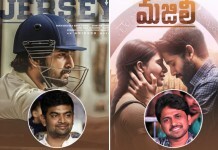 Ea evaraina pedda cinema hero, heroines kosam ankuntunnaremo? 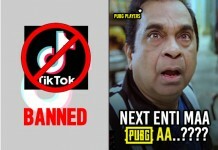 Kadu aapudu oka chinna cinema release, cinema chinnadi ea aiyyina aa movie ki vachina hype matram Bahubali antha. Aa, film ea Arjun Reddy, oka intense emotions undey character lo Vijay Deverakonda arrogance, rawness, bold atitude, and moreover man who lost his girl and his self-destruction things which take a movie to all next level. A number of lip lock scenes, Arjuna and Preethi romantic scenes, number of alcohol scenes, not exactly what Arjun reddy is about. It’s all about personal suffering, Preethi ni loss aiyyina Arjun character Tries to Self Destruct himself. Before that, he’s sincere in his emotion, love, with her than Arjun turns as modern Devdas when she left him to marry someone else. For a while, everyone travels with the Arjun character pain in the movie. Subtle comedy, romance, duets, and drama undey routine movies track lo kakunda this movie has its own soul, love and rage of an individual and explained it with unparalleled realism. Arjun Reddy is said to be a movie of two One director Sandeep and Vijay. Story plot normal ea aiyyina, Director thought of brave dimensions which other directors in TFI not even tried to do so far ani chepocchu. Sandeep rasukunna arrogant, raw and bold hero character lo Vijay 100% he skinned into it after watching its impossible to imagine that one could get into his shoes. Vijay, played a role like it was his own pain, and suffer. Pain and suffer anedi one should experience no one should understand the pain what exactly Arjun Reddy character is. Initial ga arrogant and bold ga undey Arjun character aa taruvtha pain tho self destruction mode loki vellipothadu. However he come back into life and find his Preethi, which story plot is all about Rise, Fall, And Rise Of an individual character called Arjun Reddy. I said it was a small movie, yes it was before its release but not after that. 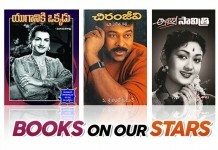 In terms of attempting path-breaking ideologies like cult scenes through lead role, bold romantic scenes through lead roles, intense emotions through some roles like Shiva, Arjun, Preethi, and others, and arrogant and attitude through lead role changed the perspective of Telugu cinema. This why people and film biggies also called ‘Arjun Reddy’ as a path-breaking and brave film in TFI.